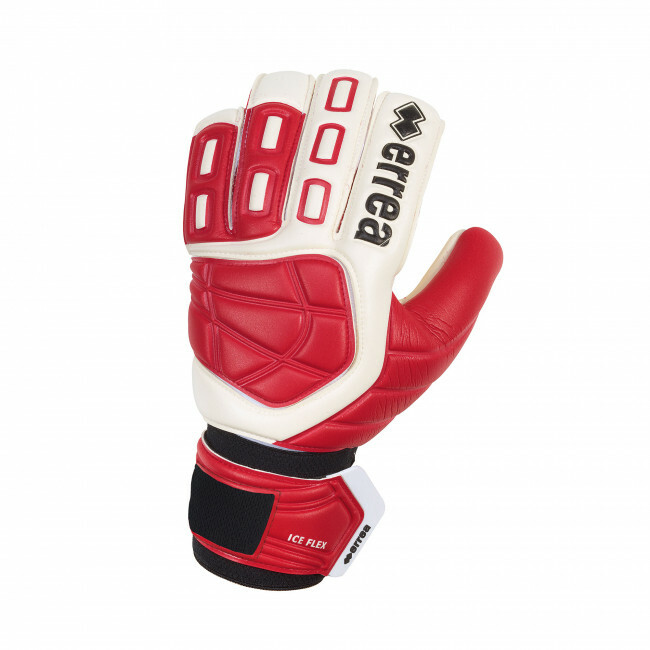 Erreà goalkeeper gloves, perfect for matchplay. Particularly suited to dry and artificial pitches, but also able to offer excellent grip on wet ground and indoor pitches. Characteristics: internal stitching with negative cut and mesh inlays for greater breathability and perfect fit to the shape of the hand; "wrap up" structure which ensures an increase in the surface area for catching and unrivaled stability in contact with the ball. The mix of this technology with new generation ADVENTURE latex ensures extraordinary grip.